The only All-In-One Fiber Optic Highspeed Handpiece of it's kind. No expensive remote light source. 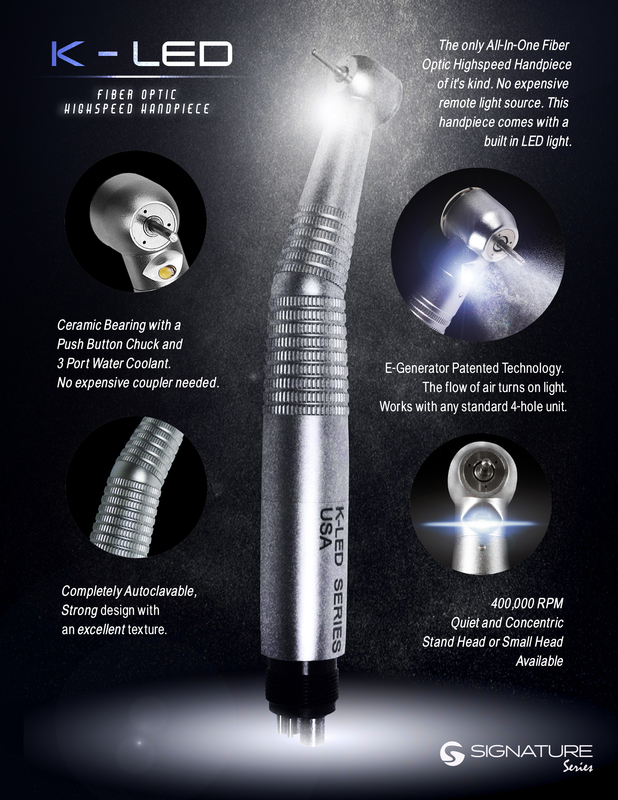 This handpiece comes with a built in LED light. E-Generator Patented Technology. The flow of air turns on light. Works with any standard 4-hole unit. * No expensive coupler needed. Watch a clip of this handpiece in action!